For a limited time we are offering a special bonus for members of the Affiliate Fix Forum. 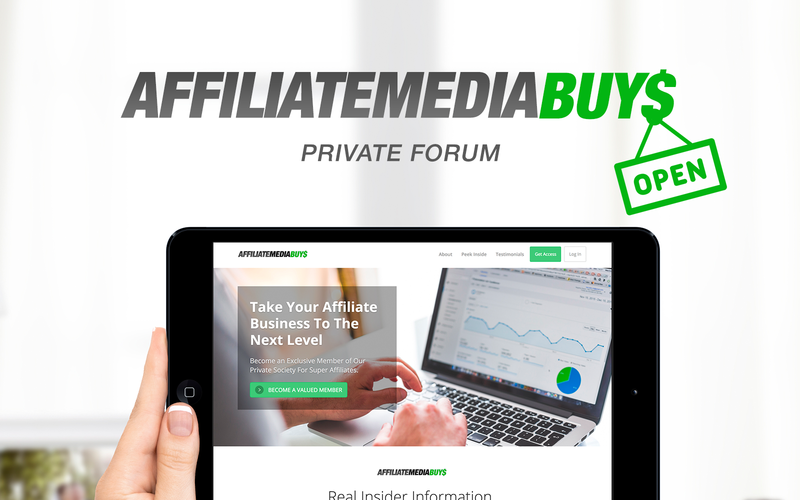 I want to introduce you to the Affiliate Media Buys Forum. Originally we were the go to source for online content in the Adult niche for 4-5 years but have since rebranded and expanded to include more mainstream content. As a special bonus to Oliver and members of this forum I am giving as a bonus my 6 Week Adult Media Buyers Course that originally sold for $1,997.00 for FREE. This will be for a limited time only but for those that get in now the course will be added to your account and you can go through the entire 6 Week Video Course inside of the AMB Forum. We offer nothing but Premium content and our Community is full of some of the very best in this Industry.